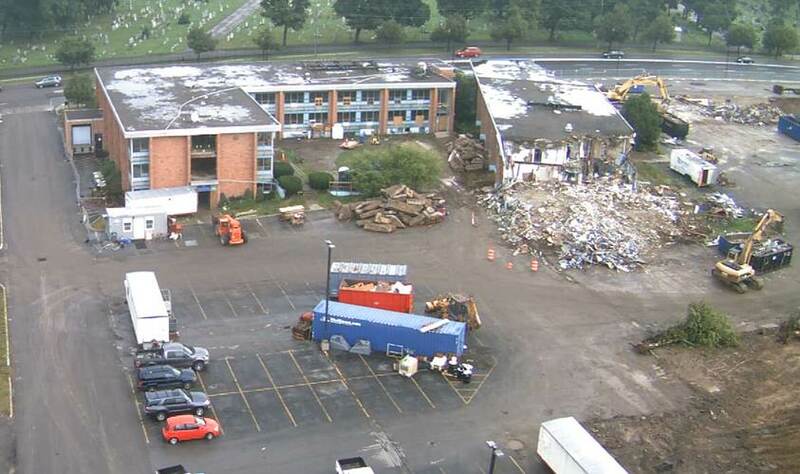 NRC was the primary contractor for the abatement of asbestos containing material and demolition of three university dormitories in Rochester, New York totaling approximately 100,000 square feet. Built in the 1950s, the buildings were previously utilized as motel, offices, and student housing. To support a larger site development effort, NRC performed controlled non-friable demolition, removal, and partial disposal and recycling of three complete buildings, including superstructures and foundations. Work was performed in strict accordance with Industrial Code Rule 56 and approved variances in a highly congested residential and commercial setting. Using critical barriers and negative pressure containments, NRC removed friable, and non-friable that may become friable, asbestos containing materials from the building. NRC also performed all required utility disconnections and removal of all universal and other regulated waste. Once abatement was complete, NRC performed methodical demolition of all three buildings and their foundations. NRC worked closely with the County of Monroe Industrial Development Agency (COMIDA) to staff the project with over 20 local personnel using a mix of both union and non-union workers. 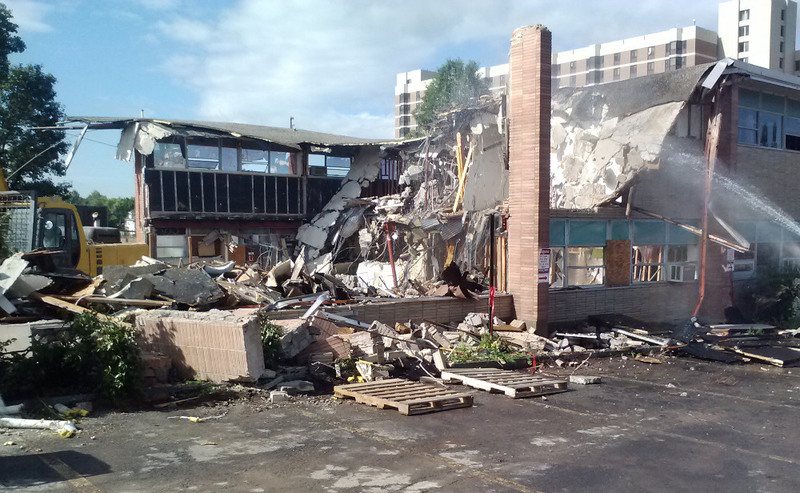 Demolition of 3 buildings totaling ~100,000 square feet, structures and foundations. Abatement of friable and non-friable asbestos. Local regulatory compliance and federal labor acts for site development. Industrial Code Rule 56 and approved variances.